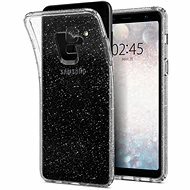 The CONNECT IT case ensures great protection for your mobile from scratches and other environmental influences. The case is made of hard plastic, which guarantees its strength and durability. The case is available in more colour variations, so you can choose and change it whenever you feel like it. The case is shaped for the particular model, which ensures that the device fits perfectly. Precise cutouts provide that all functionality is maintained without any problems. 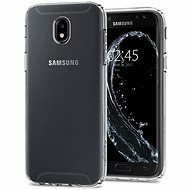 It is very easy to slip your phone in the case and just as easy to take it out. The package also includes 2 display foils and a cleaning cloth. The case is compatible not only with the popular iPhone 5/5S models but also with the new iPhone SE.? 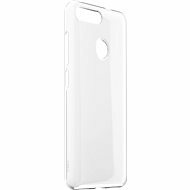 For shipping to other EU countries visit this page CONNECT IT S-Cover iPhone SE/5/5s white. Für Versand nach Deutschland, besuchen Sie bitte CONNECT IT S-Cover iPhone SE/5/5s transparent. Chcete doručit zboží do Česka? Prohlédněte si CONNECT IT S-Cover iPhone SE/5/5s čiré. Chcete doručiť tovar na Slovensko? Prezrite si CONNECT IT S-Cover iPhone 5 číre. Für Versand nach Österreich, besuchen Sie bitte CONNECT IT S-Cover iPhone SE/5/5s transparent. Magyarországra történő kiszállításért tekintse meg ezt a termékoldalt: CONNECT IT S-Cover iPhone SE/5/5s világos.